I recently found myself thinking about my relationship with running. I’ve had stages when it’s all I could think about, constantly craving the high of a new personal best and pushing myself to tick every single training session. I’ve avoided Saturday night drinking, so I could be at my best for my ‘Long Sunday Run’ and I’d waste too much time comparing myself to everyone else. Then recently, I’ve just started running a lot less, for no particular reason at all. When I do run, it’s been because it’s been a great way to catch up socially, interval training or just because I fancied some fresh air to clear my mind after a tough day. I don’t want to be tied down by running, I want it to feel like a pleasure and celebration of the fact my body can run. I don’t want to feel like I’m constantly fighting against the clock, or that I’ll be defined by how much or how little I run. Whilst I have endless admiration in folk who run marathons, or ultra-races, and I really do envy those who live near miles of trails just waiting to be explored. Right now, I’m looking forward to my 10km race, I’m enjoying my journey into the world of Obstacle Course Racing and when I do run, I want it to be for the simple pleasure of just running. My advice for anyone having a runners low? Run because it’s a brilliant thing to do, it doesn’t matter how fast or how slow..
Run simply because you have new kit…or a killer playlist..
Run because you DO need to be prepared for when Zombies attack. Tell me, how do you feel about running right now? Are you training for anything? Quick & Tasty Snacks For Runners..
Running in the dark or sunrise? 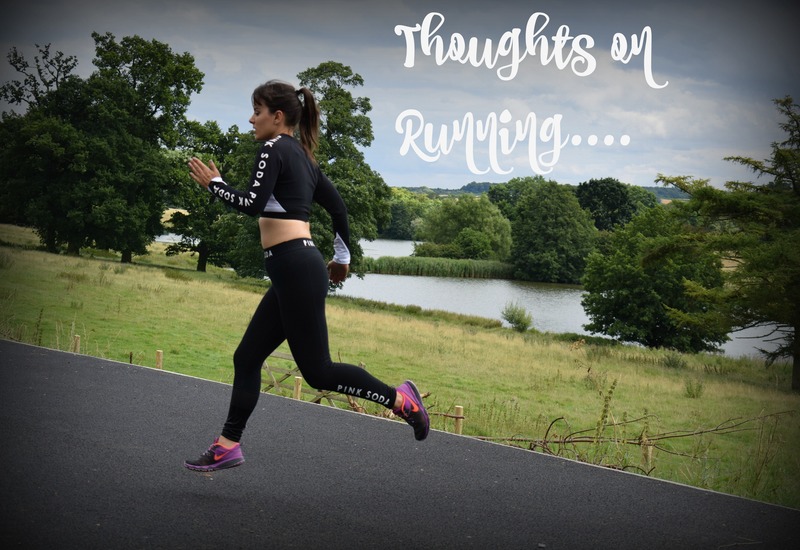 Run safer with these tips..
I’m loving running at the moment, despite having had to cut my mileage back a lot…Although, I think that’s a part of it. There is no running pressure for me right now, so it’s all about the enjoyment. It’s not always about pushing yourself or the PBs. I’m not running at all right now, and not interested in doing so whatsoever, which is strange for me. My focus is on cycling, I’m really in love with it (in the same way that running has my heart when I’m marathon training), but I can’t do both. I don’t blame you for running for enjoyment, it’s meant to be fun after all! It sure is meant to be fun and I think with sport, you need to follow what feel’s right in your heart. Like you say, cycling is what you love right now and I do think it’s best to embrace what we love as we are more likely to give it our all. I love to chat and run sometimes, it just feels like the perfect way to catch up! Ultimately I love running. But I have peaks and troughs at times. I’ve had a few hard weeks of marathon training that made me question why I was doing it but today after a mentally easier long run I feel back on the happy runner bandwagon again. But if I really started to hate it, I wouldn’t force myself because that goes against why I started. I’m glad to read I’m not the only one who has a few tough weeks..
Strangely since writing this, I’ve rediscovered a little bit of love for running! I agree, it’s got to be natural, it’s not worth forcing anything.